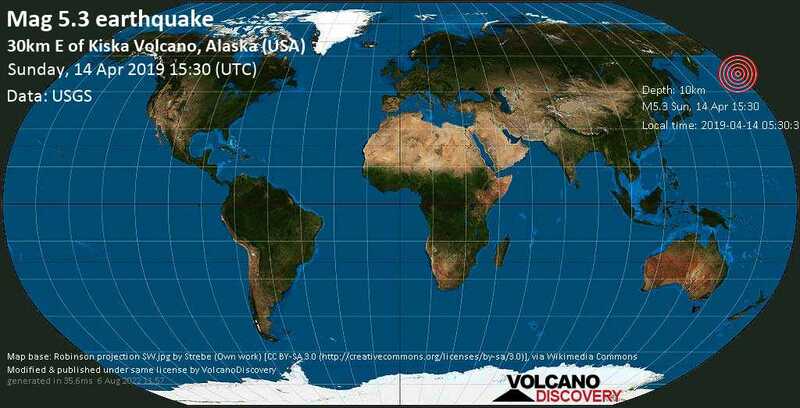 Apr 14 15:51: Magnitude recalculated from 5.6 to 5.3. Hypocenter depth recalculated from 42.0 to 25.3 km. Apr 14 16:00: Magnitude recalculated from 5.3 to 5.2. Hypocenter depth recalculated from 25.3 to 10.0 km. Apr 14 16:34: Magnitude recalculated from 5.2 to 5.3.